Do you want to have fun designing your own quilt? Then this class is for you! We will be using “recipe cards” from each of the 8 Cake Mix Recipe packs, adding one layer cake of print fabrics and one layer cake of light solid or tone-on-tone fabrics, then mixing them up to make our own delightful creations. 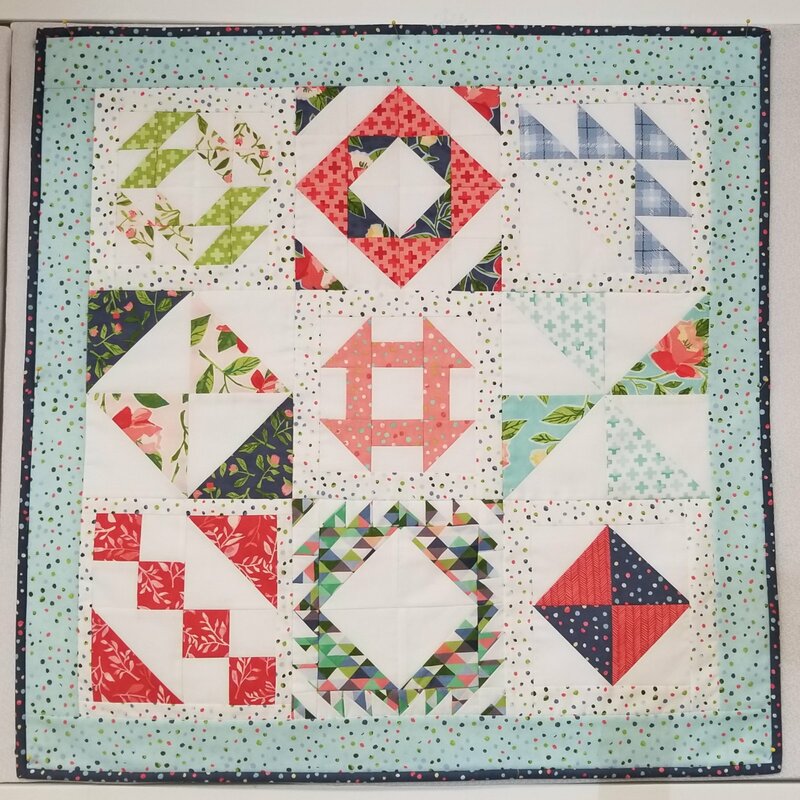 This is a great way to get your creative juices flowing, learn how to design blocks, and sew perfect half triangle squares the easy way. Cake Mix Recipe packs are available from Aunt Sassy's Quilts (the fabric shop next door). Please sign up by March 8th to ensure she has enough time to order a pack for you!